…when the Moon goes dark — not visible in the sky at all — this is the perfect opportunity to discard things in your life you do not want. This phase supports new beginnings, new relationships, and new ventures. It is the time to set new intentions. A wonderful time for cleansing + detoxification. How to facilitate the feelings + emotions surrounding the New Moon. I’ve forever been aware of my routine need (physically + mentally) to slow and center…it’s only been recently that I have become aware of this cyclical connection to the Moon. Every month, I embrace the New Moon with surrender…it’s a time for quite reflection…a time to clear my mind and focus my intentions. Even if it’s just for a day or a few hours in the evening. 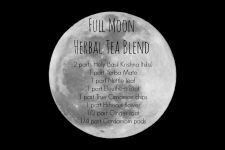 I like to cleanse my body (the New + Full Moons are wonderful times for fasting/juicing or diet changes in general), take a detox bath (See my New Moon detox bath recipe here), and drink lots of herbal tea. 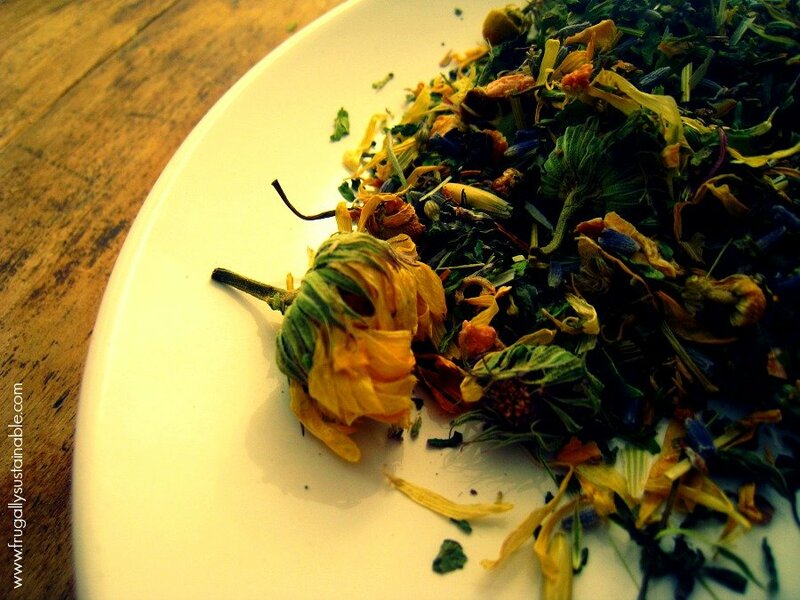 The entire experience of making and drinking herbal tea is super therapeutic. 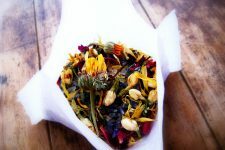 I read somewhere (and for the life of me can’t remember where to quote it here) that making and drinking herbal tea — especially in conjunction with the lunar cycle — is one of the most magical botanical preparations for the body, mind, and soul as it combines the all of the elements. 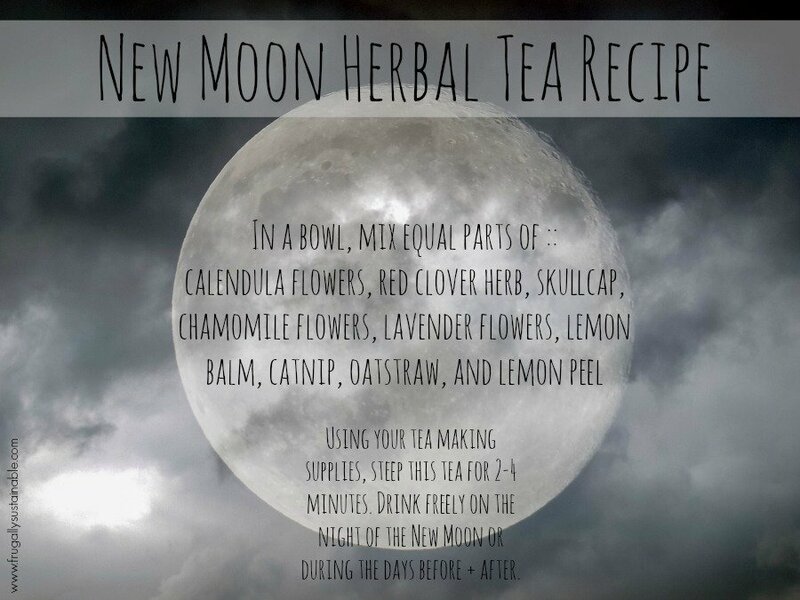 Not to mention, each of the herbs used in this New Moon Herbal Tea Blend have been selected for their ability to nourish (with vitamins + minerals), quite (release stress + anxiety), and center (a peaceful return to mindfulness). 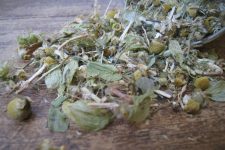 *Purchase organically-grown or wildharvested herbs whenever possible. -Drink freely as often as needed for desired effect.